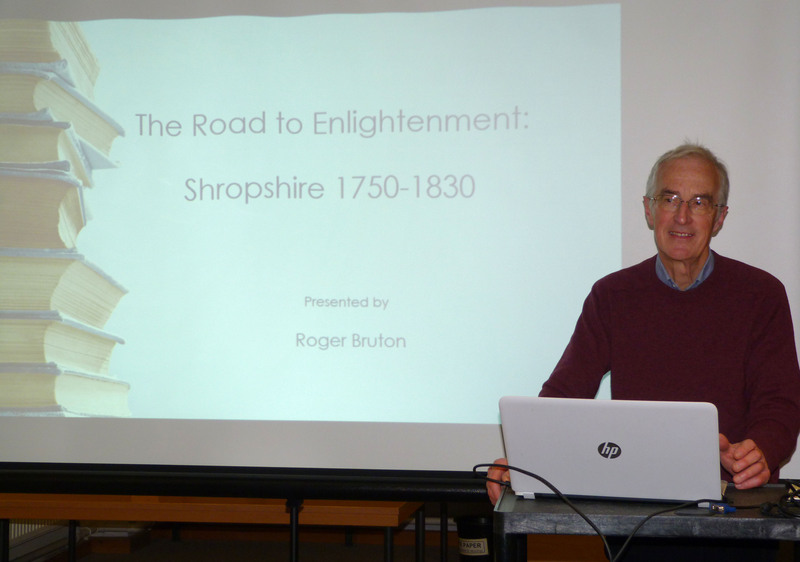 We were delighted to welcome Dr Roger Bruton to deliver our annual lecture on the subject of ‘The Road to Enlightenment: Shropshire 1750-1830‘. Roger’s lecture was a comprehensive guide to the effect on Shropshire of improvements in transport and communications, industrial development and agricultural improvements. The overarching theme was the sharing of ideas, knowledge and experience in the ‘enlightenment’ spirit of the age. After a Q&A session, coffee was served, and the audience was invited to view original documents relating to the lecture.